For the launch of Heineken's brand new premium STR bottle, creative agency IRIS came to FOC to help design & engineer a truly magical experience. To present the aluminium bottle to Heinekens stakeholders across the globe a suitable packing was needed. 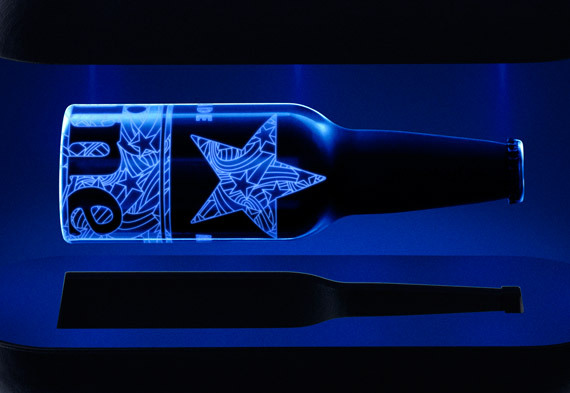 Since the newly designed bottle includes UV-sensitive ink the goal of the packaging was to showcase this in a mind-blowing experience. An all black 3D-printed capsule was designed around the bottle, stuffed with all kind of witty technology to make the capsule interact when opened & closed. This capsule was split into two halves which are held together by a magnetic lock. When opened, UV light is automatically activated, revealing the otherwise invisible UV print. The trendy, minimalist design is a reflection of the product it is designed to house. Inside the capsule, ambient light surrounds the sunken STR bottle. 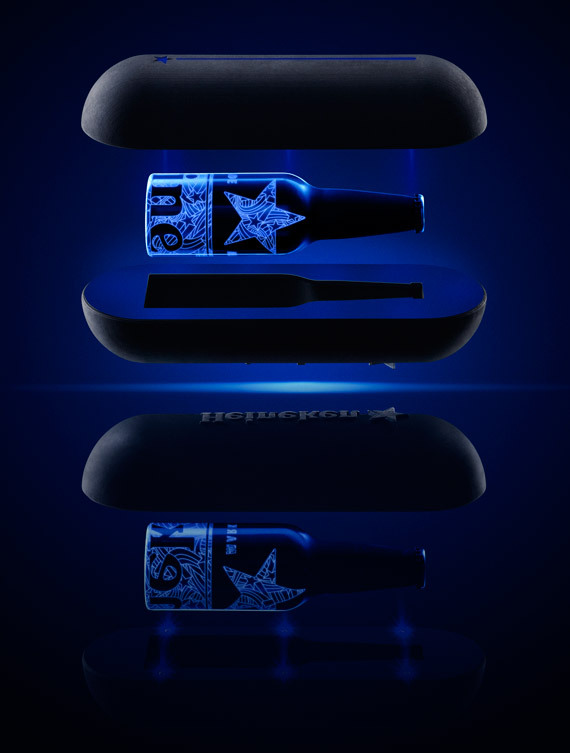 Outside the capsule, the Heineken logo is pillow embossed to act as a stand. The STR icon remains lit for a short period of time when the capsule is closed.